It’s October (yes, already) which means Halloween is right around the corner. For kids and adults alike, this spooky holiday is one of the most exciting and highly-anticipated nights of the year. 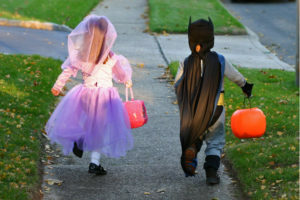 From dressing up in costume to all the fun parties, it’s a great night for everyone. However, Halloween night does not come without its risks. It is important to remember that safety should always be a top priority, whether you are sending your kids out to trick-or-treat, or you are attending a costume party with your friends. These statistics show just how dangerous Halloween can be. This is why it is so important for you to discuss safety tips with your children before sending them out trick-or-treating. With this, you must also take safety consideration, whether you are staying at home or attending a party. Be responsible and never drink and drive. Call a rideshare service or make arrangements to stay with friends, but never get behind the wheel of a car after drinking on Halloween, or any night of the year, for that matter. If you sustain an injury or are involved in an accident on Halloween this year, contact a Laredo personal injury lawyer from Green Law Firm today.